On December 3-4, CeProSARD organized a training on “Energy Efficiency and Renewable Energy Sources”, attended by students from 10 elementary schools in the Municipality of Karposh. The training was attended by 50 students in grades 5-8 who listened to presentations on energy saving, efficiency and obtaining energy from renewable sources. They were also shown some practical examples in our demonstration training center where training was held, and where students could closely see the technology that has already been explained in class. A quiz followed at the end, where students divided into groups demonstrated the knowledge gained and won awards. 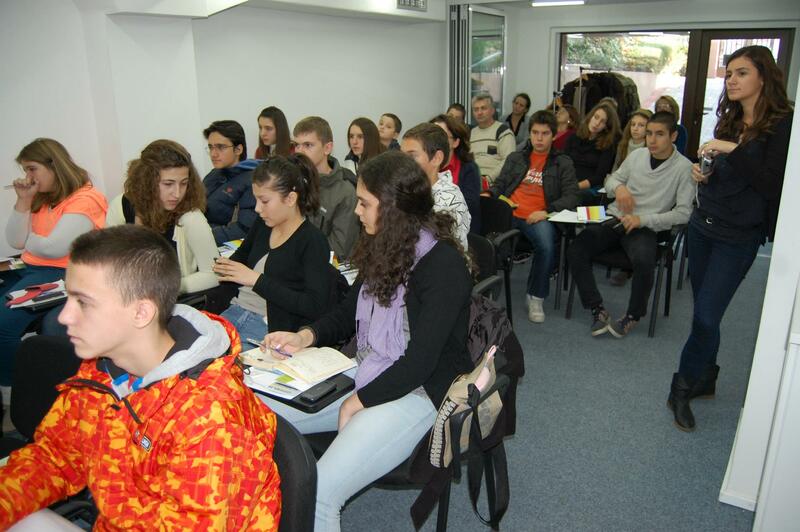 In addition to training, the students were informed about the competition “My eco-house” organized by CeProSARD in collaboration with the Municipality of Karposh which will be held on 21 December 2012, where students who have attended trainings will present projects and ideas for energy efficient house. The jury will review projects and will award a valuable prize to the one that has been best designed.